By Rob HUGHES- January 21, 2014 — The cycle of sports can be brutally unforgiving. Lionel Messi takes a couple of months off to mend a thigh injury, and he drops to being only the second-best player in his game. Manchester United enters a transitional phase after 26-plus years under the same management, and not only does the team fall from first to seventh in its domestic league, but the club’s stock price is down 17 percent from a high reached last May after United won its 20th league title. Form is temporary. Maybe Messi and the owners of United are playing the longer game. The Argentine has one eye on trophies with Barcelona, the other on the 2014 World Cup for Argentina. That came after the shares fell this week to just above $15, compared with the $14 at which the club was floated in the summer of 2012. 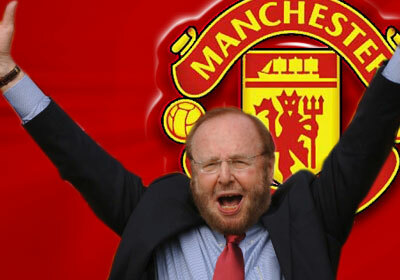 The Glazers are businessmen first. They have owned the Tampa Bay Buccaneers of the N.F.L. since 1995, and it has been a decade since the head of the family, Malcolm, leveraged about $1.3 billion to buy United a club now valued at $3.16 billion. David Moyes faces many tough personnel decisions in the coming days. The English club vies with Real Madrid, Barcelona and Bayern Munich as the giants of their sport. Any prize money they get for winning on the field is dwarfed by what they receive from television, sponsorships and merchandising around the globe. Manchester’s fame still has one foot in the club that was rebuilt out of the devastation of World War II and that rebounded in style and spirit after its great team, the Busby Babes, was decimated in a plane crash on a runway of the old Munich airport in 1958. That spirit, augmented by the skills of players from Bobby Charlton to Cristiano Ronaldo, fashioned its legend and still feeds the global image that is Manchester United. Lest we forget, Alex Ferguson, the team manager at Old Trafford for more than 26 years, signed off last June with England’s league trophy firmly in hand. He chose his own successor, a fellow Scot in David Moyes, and handed him a playing squad in need of major restructuring. Indeed, Ferguson summed up his own success as the art of managing change. We stand now at midseason of Moyes’s first season at United. The team sits in seventh place in the Premier League, which means it will struggle to finish as one of the four English teams to qualify for next season’s Champions League, let alone retain its domestic title. Moyes is not, and could never be, a second Sir Alex Ferguson. He has similar Glaswegian roots, the same accent to his voice, and a shared belief that, no matter how famous and celebrated the players, success is built upon a solid work ethic. Even Ferguson acknowledges that times have changed, and instilling that ethic gets harder by the season. Not only that, but in the Internet age, former triumphs are about as useful as yesterday’s stock valuation. Here’s the rub. There is a gigantic banner rolled out at every Old Trafford match proclaiming Moyes “The Chosen One.” The fans behind that banner were asked by Ferguson to give his successor time, and they are doing that. But they see last season’s stars fading before their eyes. In defense, Rio Ferdinand and Nemanja Vidic are aging, vulnerable to injuries and no longer the indomitable forces they were. In attack, both Wayne Rooney and last season’s top scorer in the league, Robin van Persie, have been missing with more injuries. In midfield, the engine room of a team, there is no one like the now retired Paul Scholes to make the passes. It is an indictment on Ferguson’s rebuilding, rather than Moyes’s inheritance, that Ryan Giggs, at 40, is more reliable as a creative source than Tom Cleverley, who was nurtured to be Scholes’s successor. Giggs has been more of a starter under Moyes than the Brazilian, Anderson, who is about to be sold, or Marouane Fellaini, whom Moyes persuaded United to buy from his former club, Everton. Fellaini, another player who is injured right now, is a fighting soldier, but he has little of the guile required of a United playmaker. Moyes faces up to the most public job in English soccer. The Glazers, on Ferguson’s advice, gave him a six-year contract. But the needs are immediate: Moyes has to take stock and decide whether, for example, the Japanese midfielder Shinji Kagawa is a key component or if he is expendable. Multiply that decision by 10 or 12, and you have some idea of the task. Add the fact that the Glazers, who live in Florida, allowed Ferguson to leave at the same time as David Gill, the chief executive and its savvy negotiator for many of the Ferguson years. Not only is Moyes new to the dressing room and not only is he trying to win as many as three games a week, but he is travelling Europe in search of potential replacements. He was in Italy last Sunday, running his eyes over, among others, Paul Pogba, a French talent that Ferguson allowed to leave. Pogba, 20, is headstrong and his agent demands top dollar, but United lost him to Juventus. Now that he is growing strong, Juve will ask a price that is exaggerated because of the interest that Paris Saint-Germain, with its Qatari backers, is showing in the same player. This is not exclusive to United. Chelsea was negotiating with Benfica to buy back Nemanja Matic, a player it exchanged for David Luiz three years ago. And Chelsea, with its Russian owner, and Manchester City, financed by the ruling family of Abu Dhabi, do not obey normal market pricing. Both pay what it takes, often way above true value, to stockpile players.